This wonderful 14-day tour of Tasmania travels off the beaten track giving you the opportunity to meet local people and a variety of unique wildlife, found nowhere else on earth. Showcasing spectacular hidden corners, little known national parks and stunning secluded bays, you'll stay away from the main tourist areas and enjoy a number of small group guided tours. Travel with a Marine Biologist guide on a full day small group luxury vessel to Maria Island, home to World renowned geology, pristine beaches, protected marine habitats, mountain views and UNESCO World Heritage convict history. Stay with the locals in a selection of unique B&B's and eco-properties and receive a wonderfully warm Tassie welcome from your hosts. You'll have opportunity to spot Forester kangaroos, wombats, Tasmanian devils and a number of endemic bird species as well as seals and dolphins. 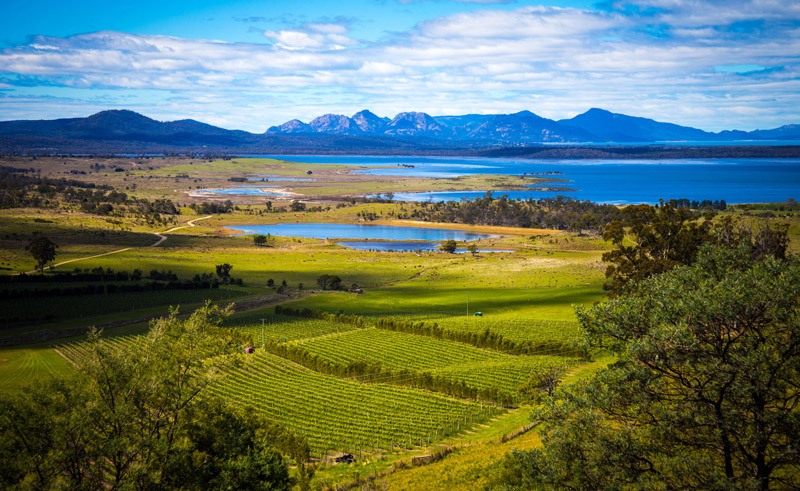 At the end of each day savour the fine food and wine for which Tasmania is renowned. Accommodation can be tailored to meet your requirements but we'd recommend staying with the locals in smaller, more distinctive B&B's and eco-lodges. For those especially interested in Tasmania's fascinating birds and wildlife the best time to visit is during October-November. 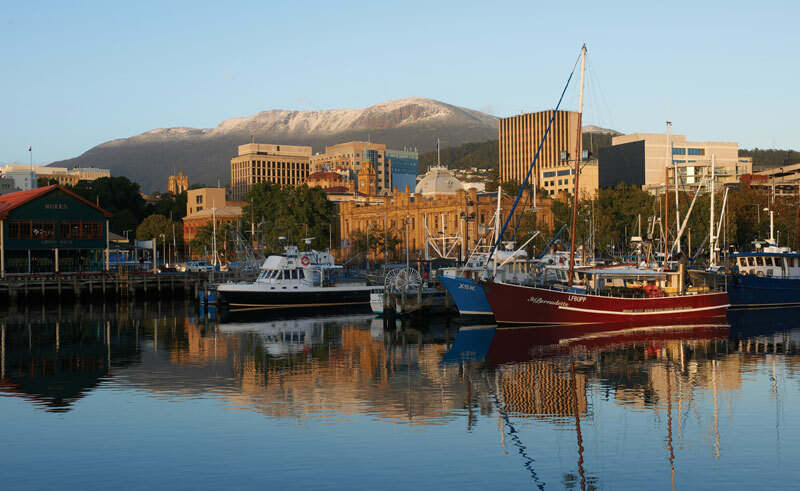 Arrive into Hobart and spend the next two days exploring. Uncover Hobart's food, wine, and eclectic creativity at the galleries, bars and restaurants of MONA. On day tour enjoy The South West Wilderness Experience (optional tour - additional cost applies). Take a spectacular flight into the remote and wild South West National Park, landing on a dirt strip at Melaleuca, take a guided walk to the hide to see the rare and critically endangered Orange-bellied Parrot which only breeds here, explore the tannin stained waterways, enjoy a picnic lunch on a deserted beach and visit the site of Australia’s southernmost Aboriginal community. Collect your rental car and make your way to Orford. This pretty little township is the gateway to the Great Eastern Drive and to Maria Island National Park, a Noah’s Ark for endangered wildlife. Stay for two nights at an 1838 restored B&B, with superb hospitality and lovely gardens. On day four enjoy a full day guided tour, with a knowledgeable Marine Biologist. You'll travel on a small comfortable boat (max 22 guests) and learn about the 400 million year old fossil cliffs of Maria Island followed by lunch in a secluded bay with seals. After lunch you'll take a two hour guided walk on the island to spot some of the many species of wildlife which inhabit this island, including Forester kangaroos, wallabies, wombats, Tasmanian devils, Cape Barren Geese and all 12 endemic bird species. Finally explore the World Heritage listed convict settlement of Darlington before returning late afternoon, spotting Albatross and dolphins from the boat. Drive to Bicheno, via historic Swansea, and stay just forty minutes north of the Freycinet Peninsula, away from the main tourist trail. Accommodation here is in a private beach house on one of the east coast’s most beautiful white sandy beaches. Today explore one of the many national parks on your doorstep, such as the little visited Douglas-Apsley National Park, with its superb water hole and gorge and a fraction of the visitors that flock to the Freycinet National Park. This evening choose from one of two magical nocturnal wildlife tours – Penguins at Bicheno or Devils in the Dark. Drive to Beauty Point in the Tamar Valley and stay in a private cottage at one of the island’s best loved and most highly rated B&B's, on the banks of the Tamar River with lovely native gardens and stunning vistas. Today enjoy a private tour with a local guide (optional tour - additional cost applies). Explore the Tamar Valley Wine Route, visit Beaconsfield Gold Mine and Platypus House, home to rare and unique display of platypuses, echidnas, butterflies and creepy crawlies. Continue onto the Narawntapu National Park, featuring wombats and wallabies, deserted beaches, coastal walks and bird hides for observing the abundant waterbirds. Alternatively, opt for a private tour to Cradle Mountain, for those not wanting to miss out on the icons. Drive to Loongana 64kms from Devonport and stay in a hidden valley in a private nature reserve – one of the few places in Tasmania where it is possible to see wild Tasmanian devils and quolls, among other species of mammals and birds. Stay in a private log cabin, enjoy wildlife walks with the owner and delicious meals served in your cabin, while waiting for the nocturnal wildlife to emerge. Today is free for you to explore at leisure. Visit Leven Canyon just a few minutes away – remote, wild and every bit as beautiful as Cradle Mountain but without the tourists. Experience the breathtaking views of the canyon floor 275 metres below, where the Leven River flows, and enjoy views of Black Bluff and the surrounding countryside. Drive to the Great Western Tiers, just an hour from Launceston yet right off the beaten track. You will stay in small guesthouse surrounded by forests and mountains, where the owner is a gourmet chef and one of the world’s top Forest Experts. All meals are included and use local Tasmanian produce with matching wines. This morning enjoy a guided forest walk with your host followed by lunch and spend the rest of your day at leisure. Later enjoy more delicious meals made from local produce with matching wines . Drive to Launceston and spend your final night here. Enjoy more wildlife and bird spotting as well as the panoramic views at Cataract Gorge, the ‘Wilderness in the Heart of the City’ and spend the rest of your time here at leisure. The following day return your rental vehicle and depart. Read on for further information on some of the conservation efforts that you will contribute to when booking this holiday. All of the suppliers included throughout this itinerary are owned and operated by private Tasmanian enterprises. Each of the suppliers are eco-conscious and practice mindful conservation in various forms, not least through their own ecological efforts, but also through financial contributions to local projects. 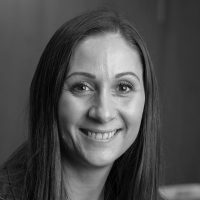 In addition, our Tasmania ground agent also makes an annual donation to several worthwhile causes including the Tasmanian Land Conservancy, a not for profit organisation which acquires land to protect the habitat for native and endemic flora and fauna, and Devils@Cradle, a wildlife sanctuary dedicated to the Tasmanian Devil and its cousins the Eastern and Spotted-tail Quoll, where they sponsor a male devil, ‘Prince Harry’. In booking this holiday you are supporting many small operators and contributing to the ongoing protection of Tasmania's land, wildlife, floral and fauna.